For us, there’s no better gaming experience out there than playing at a live casino which is why we jump at the chance to tell people about them every time the opportunity presents itself. Fortunately, today we have an audience quite eager to hear what we have to say so we’ll be able to go on for quite a bit about how they work and what makes them so great! We’re sure by now you have a general idea about what a live casino is; it’s a place where you can go and have an authentic casino experience where you feel like you’re actually face to face with a dealer. Except of course you’re actually sat somewhere a lot more comfortable miles and miles away enjoying this all from your own home. What you may not know is how these live casinos came to be and what sort of perks you get from playing at them. Well the first thing we like to shock people with is the fact that live casinos have been around for around 2 decades now! Of course they were nowhere near like they are today, and even 6-7 years ago they had nothing on today’s live casinos. Instead, back when live casinos first started players had a choice of just one table, which of course was a Blackjack table and if you didn’t like it you were pot out of luck. Even if Blackjack was your game you probably didn’t play at these live casinos back then for more than just a hand or two because the livestream feed would always be lagging and the sound wouldn’t always be in sync. Fortunately though, casino owners and software providers kept their faith and over the years the technology improved and live casinos as we know them today started to emerge. It was the birth of the livestreaming media across all forms of entertainment that really allowed live casinos to flourish as the advancements in technology came at a pace that had never been seen before as millions if not billions of people started to use live streams for all sorts of things be it computer games, Netflix, or even just regular online tv. The result of this was that streams then came to the world with fully HD or even 4k graphics which meant you could see every little thing going on at the table with absolute ease. Not only that but the sound systems used by live casinos improved to the point where you could hear literally anything you would normally hear if you were sat at the table including the roulette ball of another table landing in a pocket! And the best part about all this is that lag is a thing of the past! Internet speeds have improved so substantially nowadays you could sit playing there for hours on end and not run into any lag whatsoever. It’s all these things combined that have seen live casinos soar in popularity to the point where 50% of online players now choose to play in live casino games with that number only rising day by day! The immersive experience you get from playing at a live casino is the defining factor in why players choose to play here because if it wasn’t the other benefits wouldn’t really account for much. The first major benefit you’ll get from playing at a live casino is the fact that you’re going to save ridiculous amounts of time each week, month, and definitely each year. Why spend so much time travelling back and forth to your local casino if you can get the exact same experience right there in your living room? Not only are you getting less time for the games when you’re travelling but you’ll more often than not be pretty bored too as travelling isn’t exactly an exciting task is it? We don’t want to linger on this aspect more than we need to however as we’re sure you can think of all the uses the extra time will have on its own and instead we’ll move on to mention something you may not have realised; the added choice you’ll have! There’s a lot of different areas where you’ll have a bunch more added choice and the first of those is where to play. No longer will you need to be confined to the handful of casinos that are within driving distance of you as every single live casino out there is just a few clicks away. 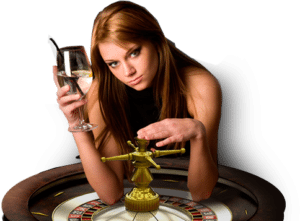 This means you’ll have access to 40 or more top live casinos which makes finding the style and game perfect for you all the more likely. Because of this you’ll also have way more choice when it comes to the games themselves. If you’re sick of seeing little more than Blackjack, Roulette, and Poker when you head to your local then we’re sure you’ll be excited to read all these games come with a whole bunch of variations at live casinos too. Not only that but you won’t struggle for some of the lesser played games such as Baccarat and Craps either, plus they even have some relatively unheard of games for you to check out like Sic Bo as well! All in all there’s nothing but great things happening at live casinos as you have an immersive experience you can get from home, all while having a wider selection of casinos, tables, and games to choose from as well!